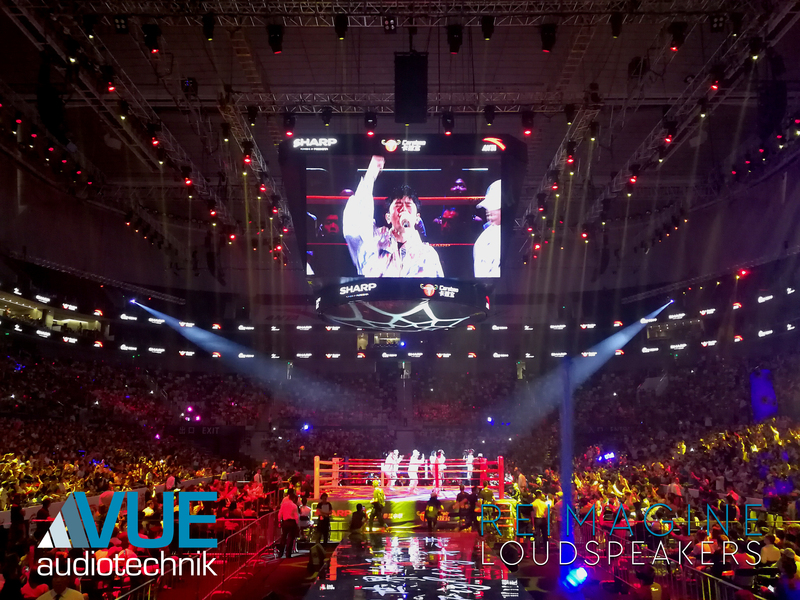 VUE China teamed with Jiexin Rental Company to provide audio for the now-historic WBO world title match upset at Shanghai’s Oriental Sports Center Complex in late July. 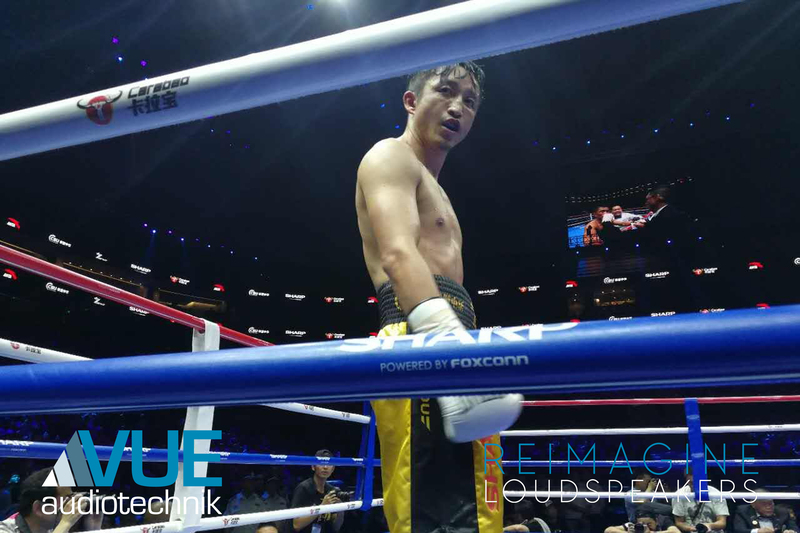 In a rags-to-riches ending, Japan’s “no-hoper” Sho Kimura upset Chinese defending flyweight world champion Zou Shiming in a sensational 11th-round knockout. Kimura, who two years prior was delivering crates to Tokyo restaurants, assumed the world title in front of an astonished, largely Chinese crowd. 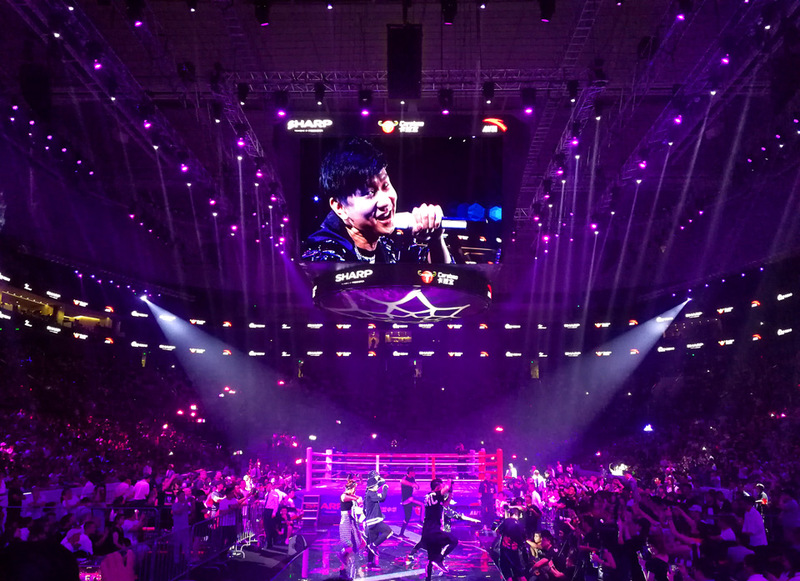 The match was held in the Shanghai Oriental Sports Center’s 18,000-seat indoor arena with opening musical performances by top Chinese singers Jason Zhang and JJ Lin. According to Li Jie, chairman of Jiexin Rental Company, the decision to specify VUE was an easy one. 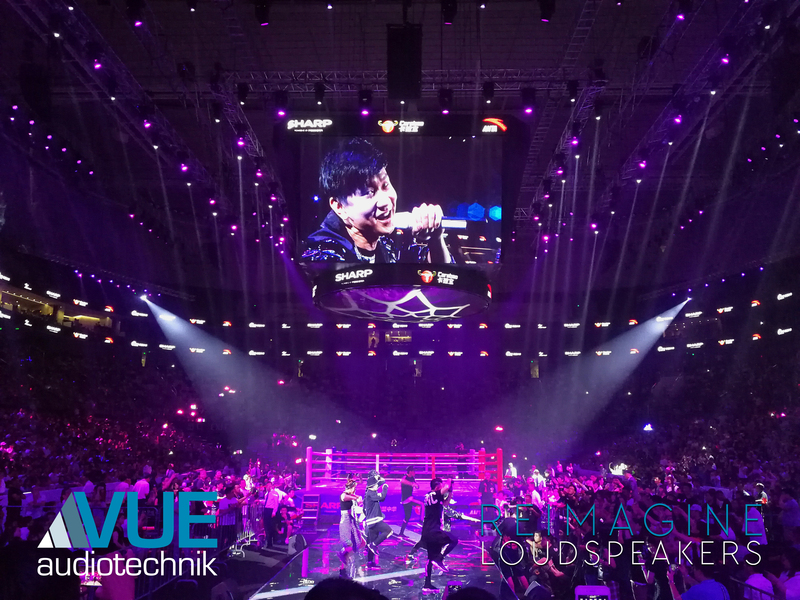 Marking VUE’s first appearance at the Oriental Sports Complex, the Jiexin team assembled multiple arrays consisting of VUE al-12, al-8 and al-4 elements, along with hs-28 dual 18-inch ACM subwoofers for low-frequency support. VUEDrive System Engines provided all power and processing for the arrays. The main FOH system included six hybrid CST arrays — four hung at each corner of the central stage/ring, that combined six al-8 elements with four al-4 elements for near-field coverage. Two additional arrays consisting of six al-12 elements each were placed in the front and at the back of the central stage directly between the al-8 / al-4 hybrid CST arrays. VUE’s highly versatile Continuous Source Topology eliminated the disruptions associated with conventional mixed-element arrays–allowing the Jiexin team to easily achieve precise vertical coverage and absolute sonic consistency while minimizing hang weight and sight line clutter. 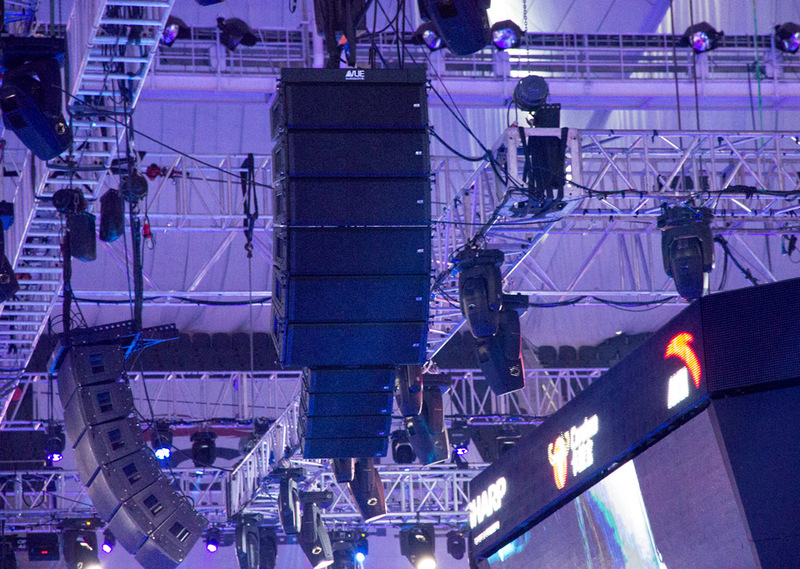 Twenty-four hs-28 dual 18-inch ACM subwoofers provided low-frequency support for the event. The subwoofers were configured in four groups of two units against the two longer arena walls, and two groups of two units against the two shorter arena walls. 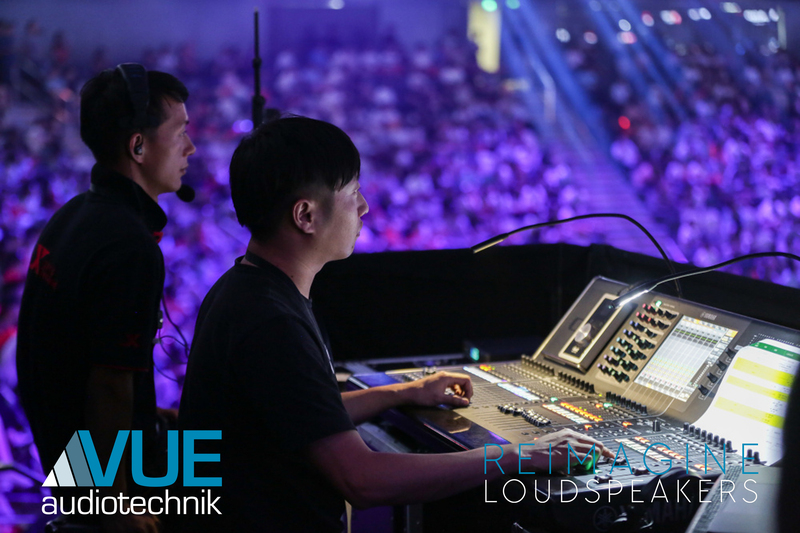 Final coverage was achieved with help from an EASE acoustic model, which allowed the Jiexen team to design the optimal system based on audience and venue parameters while minimizing setup time. “In the preparatory phase, our technical team did different sound solution simulations through Ease Focus. 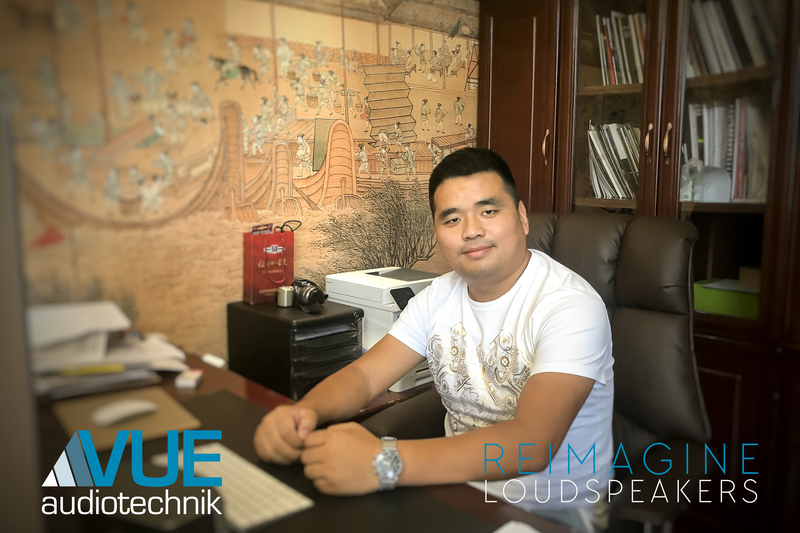 In the end, we got the optimal number of elements under the premise of enough SPL.” explained VUE China sales manager, William Xu. 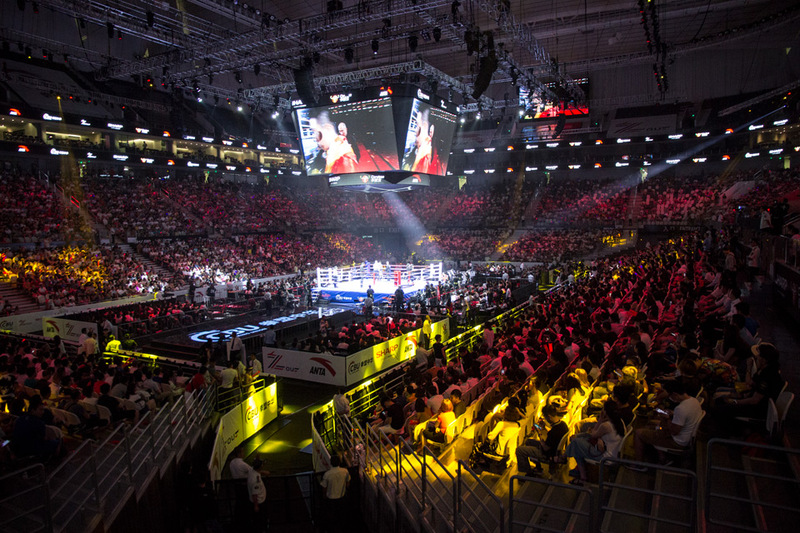 While the outcome of the match was a disappointment to the largely pro-Shiming audience, the sound quality impressed. “It was pleasing that six elements of al-Class could output much more massive power compared to other line arrays with the same size, and covered a really deep distance. So, while we were mostly disappointed in the loss, everyone was incredibly impressed with the system’s performance and the perfect sonic character, ” lauded Jiexen’s Chairman, Li Jie.